Uses: Slipcover fabric, futon covers, Light duty bags, liners for heavy bags, pocketing, drapery backing, stretched canvas, painters drop cloths, artist canvas, aprons, place mats, mitts, bibs, laundry bags, and much more! 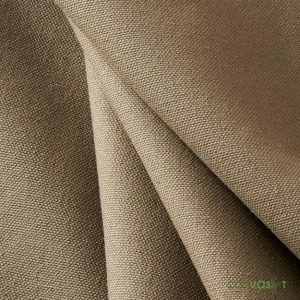 Cotton duck cloth or cotton duck canvas fabric is a staple textile used for many applications. Our white cotton duck fabric not only suits many needs, but is economically priced for your budget. If you are looking for a durable fabric that handles versatile environments with no problem, white cotton duck is the right choice. This A grade 12 oz pure white cotton duck used as a utility fabric. We pre-shrink this canvas for your convenience. 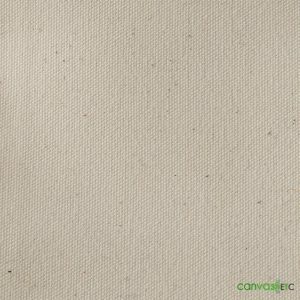 This canvas is durable, inexpensive and has a soft hand. Want to learn more about how cotton duck cloth makes the difference? Find out why our white cotton duck fabric stands tall against other selections. White cotton duck is canvas fabric. Canvas or duck cloth has deep origins that date back centuries. Used in marine applications to make sails and coverings, canvas textiles became bred for rough and steady use. Not only was canvas popular for marine use, but also great for artists. When artists learned that canvas could become utilized for painting, it changed the medium as we know it. Many famous painters like Leonardo Da Vinci and Rembrandt grew their work on canvas substrates that we know and recognize today. 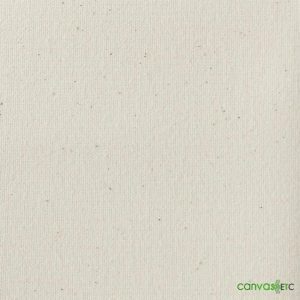 Canvas was not and still is not terribly expensive to produce. Being a natural fabric, growing the cotton and manufacturing it into thread or yarn isn’t very difficult. Once the yarn becomes spooled, it is made into the popular cotton duck cloth we know today. 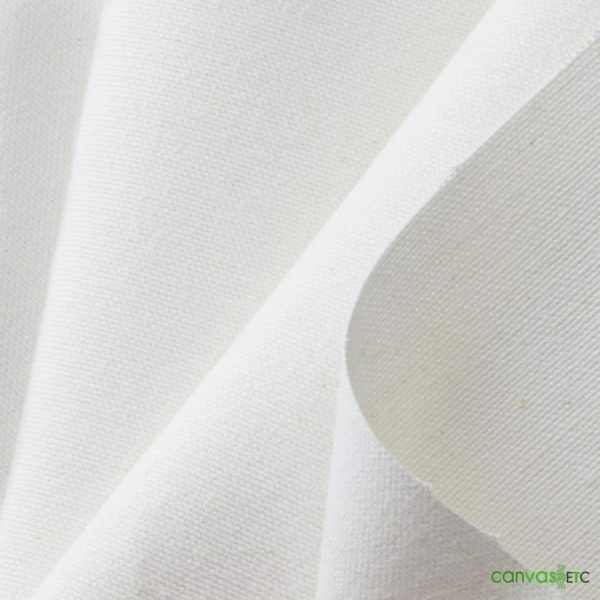 While there are forms of canvas fabric that are partially natural and partially synthetic, usually canvas is all natural and simply made from cotton. 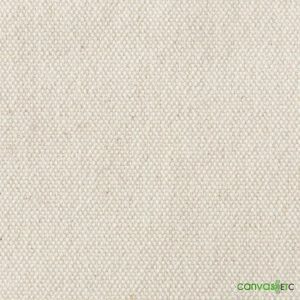 Sometimes, it is crafted from linen, and at its beginning, canvas was made from hemp. Now, if it is partially synthetic, its fibers cross with materials like polyester. With its humble start in the world, canvas has become an iconic textile that almost anyone recognizes. With the many and abundant versatility, there is not much canvas cannot cover. White cotton duck or canvas, packed with many wonderful features, make it the best fabric for so many uses. Its most notable feature is its tensile strength. While that varies from fabric to fabric due to weight, our white cotton duck cloth is durable and outlasts many other fabrics. 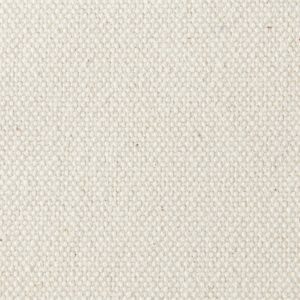 This white cotton duck cloth remains woven in a strong Oxford weave. 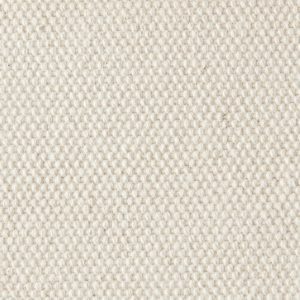 While most canvas becomes woven in a plain, one yarn by one yarn pattern, Oxford weaves use two yarns for durability. Wear and tear is different for this canvas fabric, which allows it to remain as strong as day one if properly taken care of. Durability isn’t the only punch our white cotton duck cloth is packing. Along with having wonderful lasting properties, it is made from 100% cotton. Those that may have ailments due to synthetic fabrics can rest easy knowing that this all natural fabric will not flare up any reaction when using it. As previously stated, the options for this white cotton duck cloth are endless. If you are working on a project requiring water repellent properties, this fabric is great to apply wax to for an added water resistant barrier. Using products like Canvak Wax make it simple to optimize your canvas fabric for water repellent uses. All in all, a fabric like our white cotton duck boasts many features that make using this fabric a breeze. Our white cotton duck cloth selection becomes desized prior to reaching you. What exactly is desizing? To learn about desizing, we must first know about the weave style. 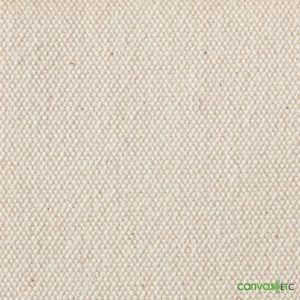 As mentioned, most cotton duck canvas weaves in a plain weave style. Plain weaves become classified as such based on the number of yarns woven at the weft and the warp. The warp defines the yarn woven vertically, while the weft runs horizontally. In a plain weave, one yarn weaves over the other to form a criss-cross pattern. Many strands will make up an individual square of fabric, but each strand weaves individually over the other. When you magnify the fabric, you should be able to see the weave pattern. 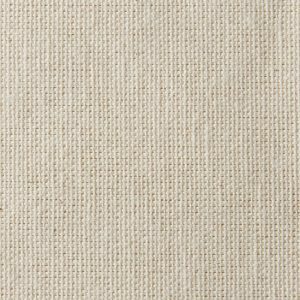 For our white cotton duck cloth, the yarns weave in the Oxford style. Two or more yarns weave over and under to form a basketweave pattern. Oxford woven textiles can often become referred to as a basketweave style for this reason. Before a fabric like Oxford woven canvas goes through a loom for weaving, a sizing agent covers the warp yarns. The yarns become coated in starch based sizing agents for strength. When a loom is operating, yarns can break from the speed of the weave, but sizing agents help maintain the yarn intact. These sizing agents are removed once the yarns are woven together. They go through an a process called enzymatic desizing which maintains the natural structure of the textile. It also allows for the fabric to become dyed if needed. 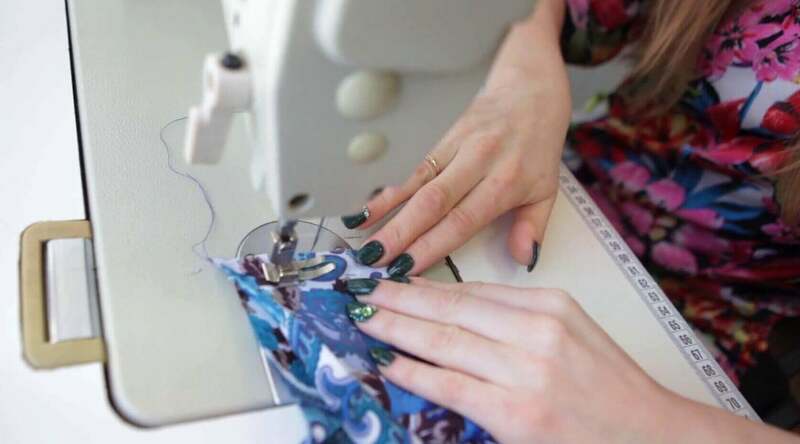 The result of this process leaves your fabric with excellent properties like the ability to maintain its sizing. Meaning, the fabric will not shrink as fast as other fabrics that do not go through a standardized desizing process. 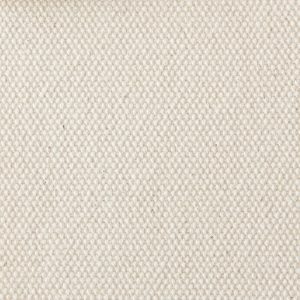 At Canvas ETC, we proudly carry many weights of cotton duck canvas for all your needs. The weight styles signify what interesting and amazing applications your canvas selection may be useful for. For example, cotton duck cloth in white is a 12 oz. fabric, but what does that really mean? Back in the 1920’s, the Department of Commerce released documentation on the classification of cotton duck fabric. This document broke down the fabric by square yard with ounce specifications and what the properties found meant. It allowed for consumers to truly understand their canvas fabric better so that its use would suit them best. 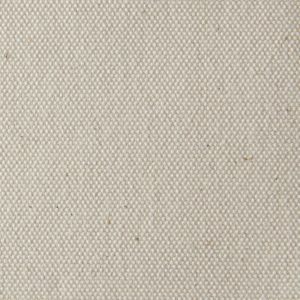 The classification lends the name to canvas fabric as numbered duck. When buying canvas now, you will notice many retailers list this number by the name of the fabric. Each numbered duck canvas style is a different weight and works for different applications. Overall, numbered duck canvas considers the consumer’s use via the classification. To find other selections and more information of our numbered duck canvas, click here. 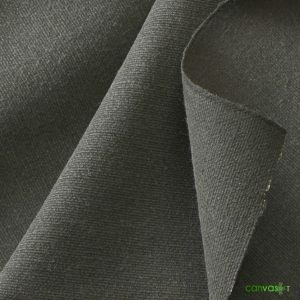 While canvas lends itself to many forms, one of the biggest uses for this fabric is found in the manufacturing industry. 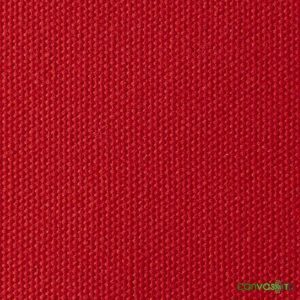 Canvas is a no-nonsense, easy to use fabric and a favorite for industrial applications. 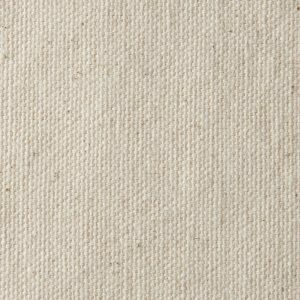 Although there are things to consider when using a natural fabric versus a synthetic fabric in manufacturing, canvas fabric stands out for many reasons. One big use for canvas is industrial coverings. Many manufacturing shops have equipment that while is not in use, should become covered. Canvas holds tough against debris and dust, so it works well to keep your equipment as new as the day you bought it. Another great canvas use is in work jackets and vests. Some shops are cooler in the winter which make working conditions a bit harder. Workwear made from canvas keeps employees warm and cozy enough to get the job done. One of the most popular uses for canvas, industrial and consumers alike, is within floor cloths. If you are in need of protecting an area on your floor, canvas as floor cloth makes that happen. You need not worry about getting paint or other substances on the ground with canvas as a floor covering. It is no surprise that these and many more applications make canvas great for laborious industries. Cotton duck cloth is perfect for durable apparel such as aprons. Aprons: Staying clean in the kitchen does not have to become an impossible task. 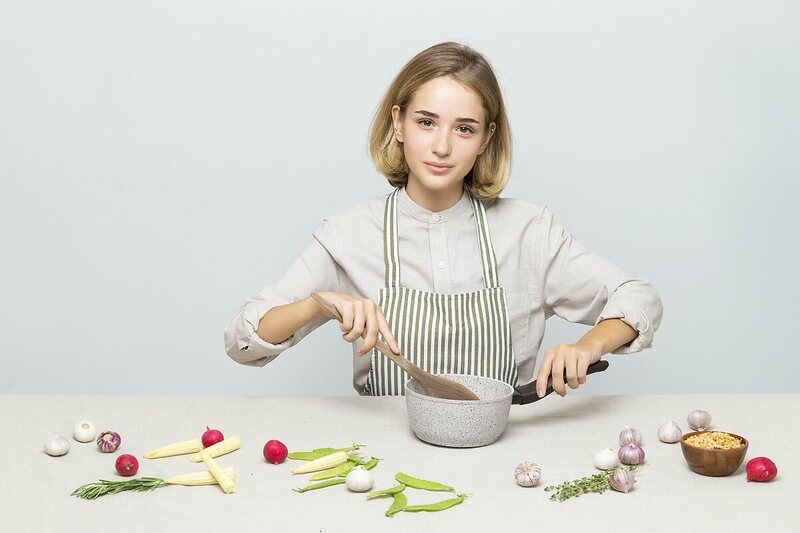 Wearing an apron fashioned from our crisp white canvas keeps your clothes free of spills and stains. Furniture Covers: Cover up an old couch or futon with our cotton duck cloth in white. Keep new furniture clean with this canvas selection too. Also use to reupholster old furniture and breathe new life back into it. Light-Duty Bags: If you are a traveler, having a light bag made from cotton duck canvas is great for keeping your valuables safe and sound. Also, you can write or draw directly on its surface to add a personalized touch. Backdrop Drapery: Every photographer has a solid backdrop for indoor shooting. Our light cotton duck cloth in white is perfect for all styles of portraits. You can also manipulate your background easily in post production since the color is solid. Check out our Blog regarding How To Make Your Very Own Custom Sofa Slipcovers here, and consider using our 12 ounce Cotton Duck Canvas Fabric! These applications and more make our white cotton duck cloth the only fabric you will need for so many uses! Are you a business seeking wholesale pricing? Look no further. We offer wholesale prices depending on your need. If you are covering an event or seeking large yard quantities for an upcoming project, we can help. Let one of our experts assist you in getting all that you will need. With current bulk discounts of 50-99 yards at 5% off and 100 yards at 10% off, we will work with you to get the price within your budget. As mentioned, Canvas ETC is your premier vendor for all things cotton duck cloth. 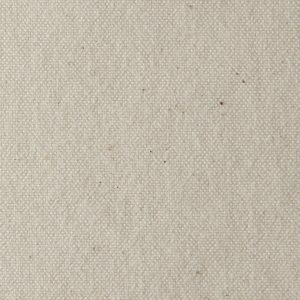 Our white cotton canvas is one of many styles of cotton duck canvas we currently offer. We are updating our selections every day to meet all your canvas needs. If you are not sure what is going to work for your next project or application, do not hesitate to contact us today. Also, to learn more about cotton duck canvas, our large, high quality selection and the different styles that you will discover at Canvas ETC, click here.